Italy. This unique brand experience centre will offer Rolls-Royce's guestsan insight into the world of the iconic marque in a relaxed club atmosphere in the most innovative and effortless of manners. Created on the Promenade du Port in Porto Cervo, the 'Summer Studio' will bring a flavour of the Home of Rolls-Royce to the exclusive resort and its summer-time residents until September 30. 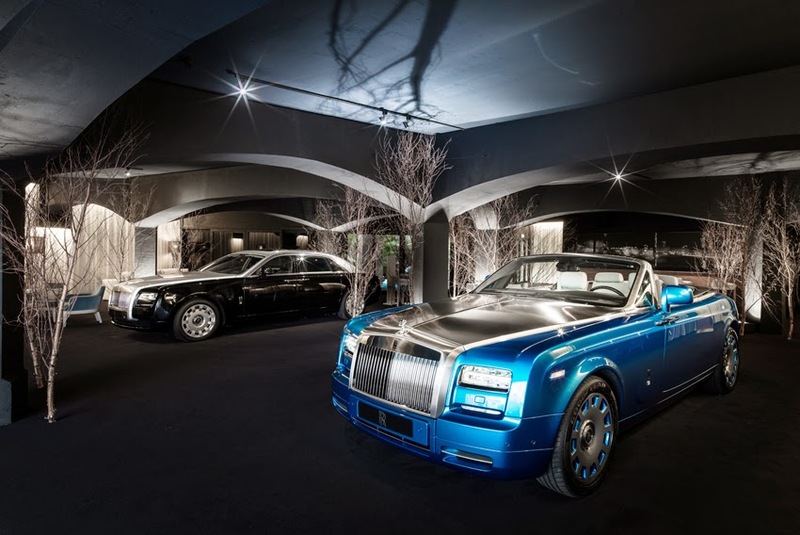 The 'Studio' will showcase Wraith, Ghost, Phantom and Phantom Drophead Coupe, offering guests the opportunity either to learn about the cars through a static display in luxury surroundings redolent of Goodwood, or to drive them on the roads of Costa Smeralda. Visitors to the 'Studio' will also be given the exclusive opportunity to see the Phantom Drophead Coupe 'Waterspeed' Collection car, of which only 35 exist. "Rolls-Royce Motor Cars has always been focused on the needs and interests of its discerning patrons, and so we find it highly appropriate to present our vehicles and services to them in a place where many of them spend their summer holidays," said Isobel Dando, General Manager of Retail Development for Rolls-Royce Motor Cars. "Our experience has shown us that these innovative activities, in exclusive venues around the world, allow us to meet interested parties in very relaxed, informal settings." The Sardinian resort of Porto Cervo is among the most exclusive in Europe. In the summer months this destination is particularly popular with wealthy clientele from all over the world who stay at the beautiful properties along the Costa Smeralda while mooring their yachts in its charming ports.